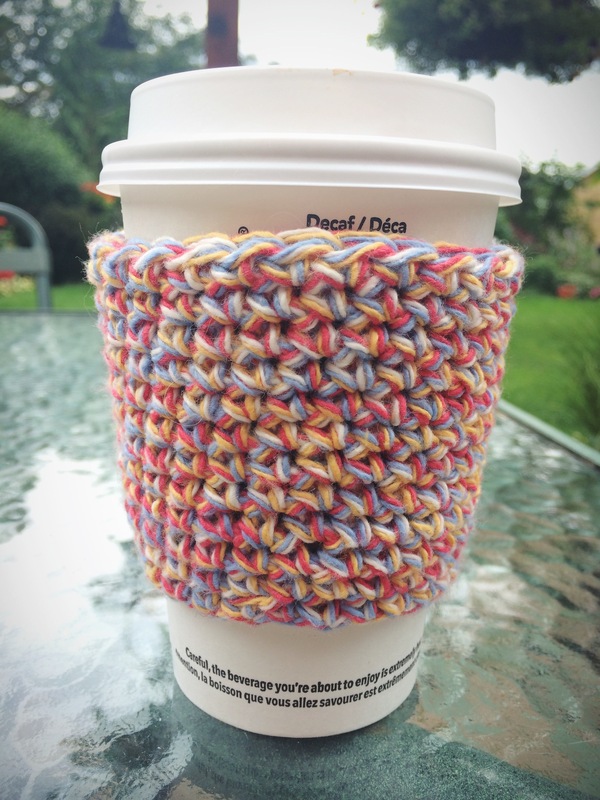 Crochet: Colourful Cozy – Yarn, Things, Etc. I was debating whether or not to post this cozy, but it’s one of my favourites and it’s my blog so I guess it’s ok. Real talk: the number of coffee cozies I make is kind of concerning, although when one drinks as much coffee as I do, dressing the cup up is not the biggest problem. Honestly, this cozy was so easy I’m not going to put up a pattern. I just started with a foundation chain of 22 stitches, increased by one stitch for 4 rows or so, and worked in a spiral to the top. I worked with Bernat’s muti-colour cotton yarn (it reminds me of a circus, which I like) and a 5.50mm crochet hook. This should be my last cozy for a while. I have about 10 projects ready to post that aren’t exactly summer appropriate, but is yarn ever summer appropriate? Trick question, yarn is always the answer.